Lessons I’ve learned from years of teaching five year olds. 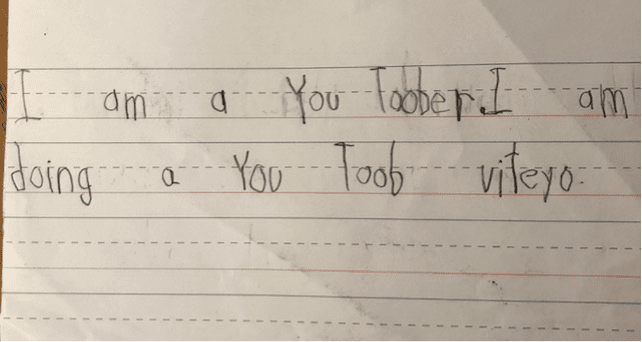 When telling people that I teach kindergarten, I often am asked, “How do you do it?” Now, imagine teaching five year olds how to write entire paragraphs. Yes, we are superheroes with the powers of patience, perseverance and the ability to bend at the waist for long periods of time. 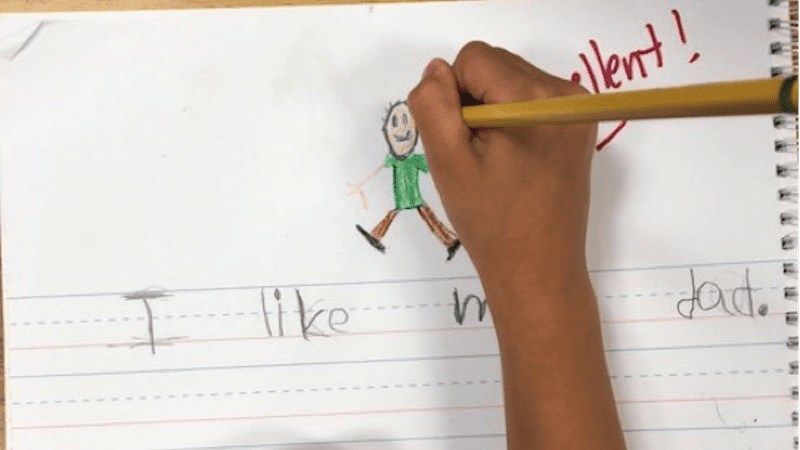 Here are the best kindergarten writing tips that I have gathered over the years. Kill two birds with one stone. Kindergarten students need to be taught how to form their letters. This can be done within the context of writing a sentence. 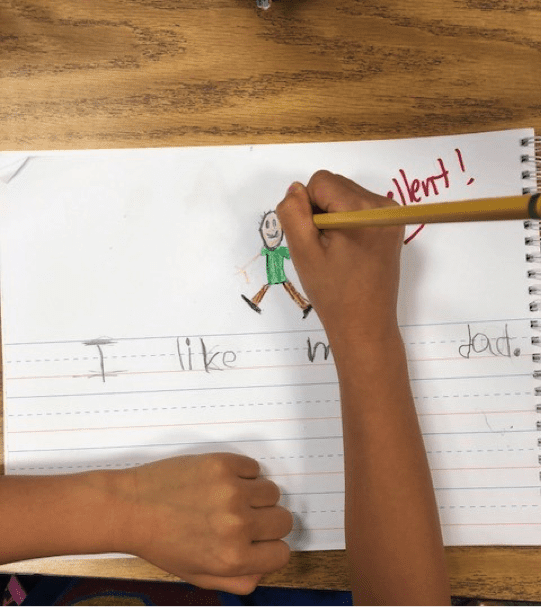 Often, when students practice writing letters in isolation, they have trouble transferring handwriting skills to sentence writing. Teach capitalization, spacing and end punctuation while demonstrating proper letter formation. Have your students engage in meaningful writing from day one. Kids learn to talk by talking, and we know kindergartners have mastered that skill. They learn to write by writing even if it is a large string of letters at first or even scribbling. They have to start somewhere. We give them the tools to develop into confident writers by allowing them the time to write and draw every day. Students need to know how to read and spell several anchor sight words in order to build confidence with sentence writing. 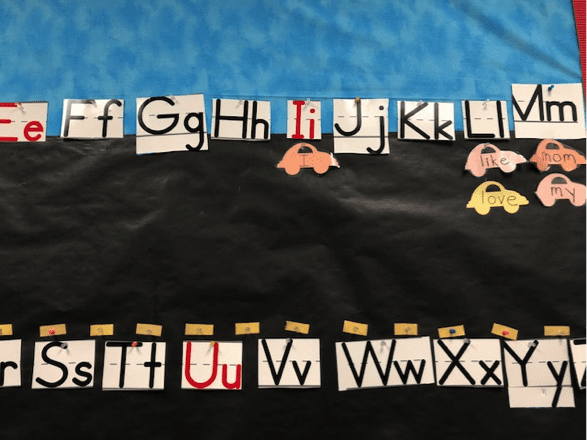 I use a word wall, songs and chants to teach students to spell sight words. For example, I sing the word like to the tune of “It’s a Small Word.” L-I-K-E, that spells like. L-I-K-E that spells like…. . Once they are armed with an arsenal of words that are essential to the structure of a sentence, they are well on their way to success. Kindergarteners have the attention span of a fruit fly. This is why right before journal writing time, I teach them one quick skill. Mini lessons are great for teaching narrative, opinion writing, how to compose a topic sentence, and various stages of the writing process. Morning message or class news is a good example of interactive writing. This refers to the teacher and student sharing the pen. 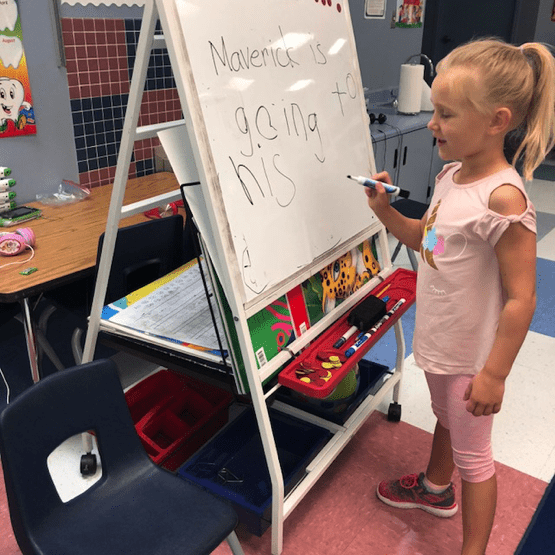 One student gives the teacher news, and students are called up to the white board to help sound out words and place appropriate punctuation. Reading and writing go hand in hand. Students can write their favorite part of a story or compose a letter to a character. Reading informational text and drawing and labeling a picture are a great ways to combine science and social studies research with writing. Kindergarten students often will put periods at the end of each word or line. Teaching kindergarteners the concept of a complete thought is difficult because their thoughts go on and on and on and on. I teach the students that if their writing answers the question, “Guess what?”, it needs a period. Give students the opportunity to share their writing with their peers. The more opportunities kindergarteners are given to express themselves, the less likely they will be to shout out in the middle of the math lesson that they have a wiggly tooth or Uncle Joey is visiting. Kindergarten writing is not for the faint of heart. Enjoy the strange spellings, humorous thoughts and the innocent excitement that will lead to young students becoming life-long writers. 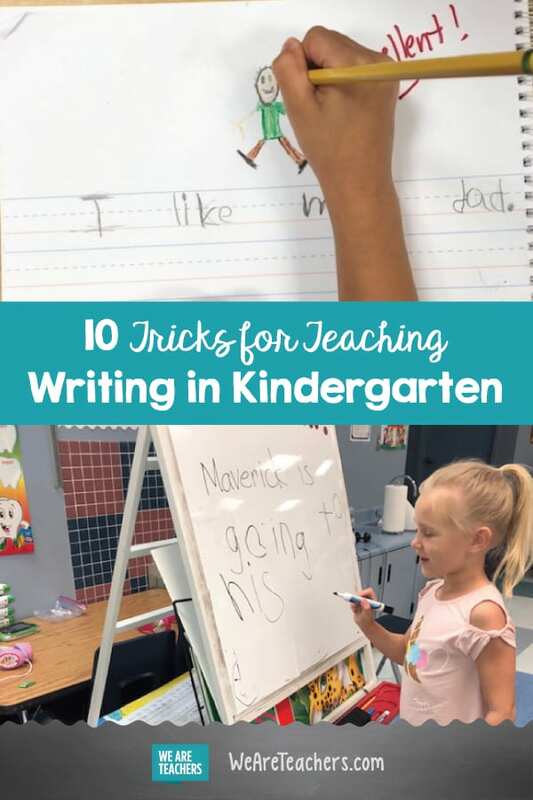 What are your tips or questions for teaching kindergarten writing? Come and share in our WeAreTeachers HELPLINE group on Facebook. Plus, 50 tips and tricks for teaching kindergarten and the best kindergarten books.